In all a this cooking program the finish to cook the meat in the oven. Even when the meat is just roasted. Well, they are perfectly right! 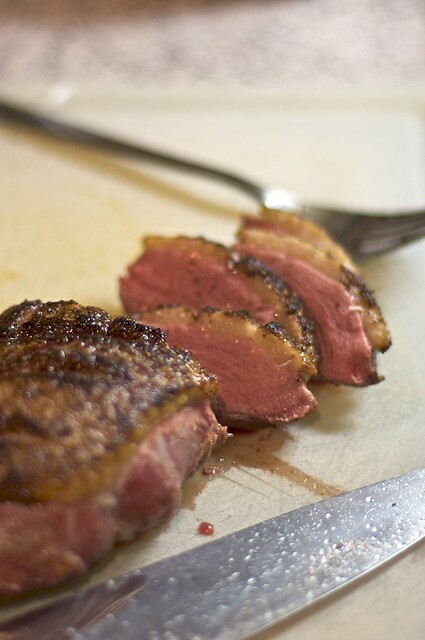 I sealed the duck breast for 3-4 minutes on each side, beginning with a very hot pat and the skin side. Then I move it, still in the pan (you must have a zero plastic skillet, not even the handle), in a hot oven, let’s say 120° C, for 10-15 minutes.